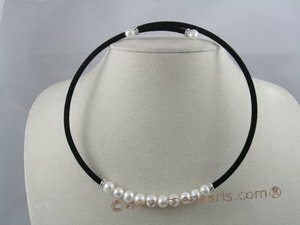 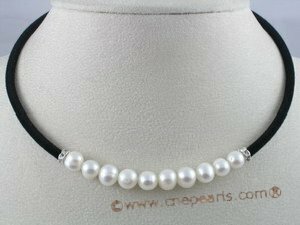 Elegance pearl necklace featuring 7-8mm white potato shape freshwater cultured pearls, offset by a cotton black rubber cord, with white crystal fittings as decoration. 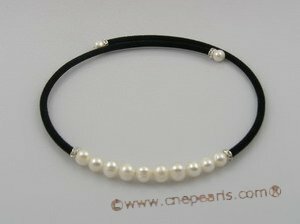 The freshwater pearls are hand chosen for beauty. 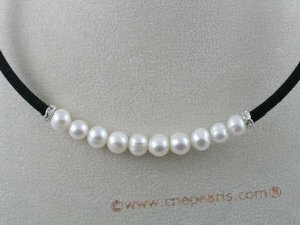 It's so nice and precious which could be worn in any banquet, engagement or wedding! 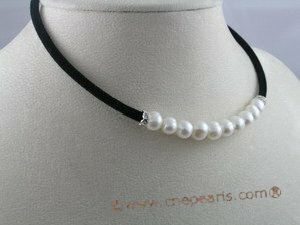 The same style necklace set(pnset105) are also available.